We chat to Cameron about his history in the field, how he got a taste for the game and the early successes that whetted his appetite. He talks to us about why he is the best at the business of business and building company culture before we discuss the importance of planning and partnering. Cameron tells us about his great strategies for delivering on promises, dealing with difficult team members and how to get greater buy-in from your employees. He literally wrote the book on a ton of these subjects and his experience and expertise are truly inspiring for anyone interested in any part of the franchise business. For all of this and more, be sure to join us for the episode today! How Cameron got started in the franchising game. Cameron’s experiences at 1-800-Got-Junk? and College Pro Painters. The importance of planning and knowing the road ahead. Raising prices, cleaning up and delivering on promises. Some great examples of company culture and emotional commitment. Working on your business versus working in your business. Why you should look for ‘entrepreneurs’ with ‘interdependence’ for your franchise. Cameron’s experiences in the stages of franchising. What made Cameron fall in love with his job. The value of partnering and fresh energy. Executive assistants and why they should be your first hire. The role of the entrepreneur and the amount of work to do. 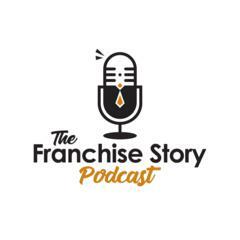 Welcome to The Franchise Story Podcast! Where we give you access to the stories, mindsets, and lessons learned by high performing Franchisees and the Franchise Founders behind the brands that they invested in. Your Hosts are Erik VanHorn and Brian Holmes. We are multi – unit, multi – brand franchisees with 20+ years of experience building our own franchise businesses.